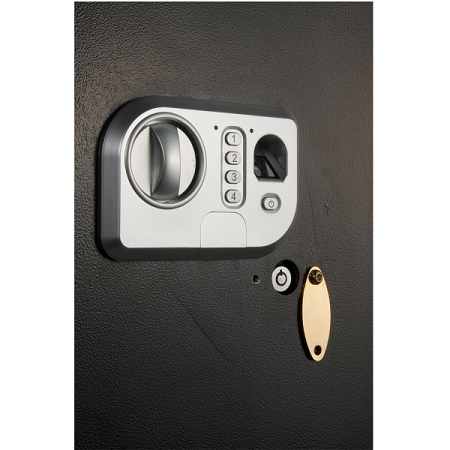 Quick Access Safe with the convenience of Biometric lock, designed for the quickest access possible! 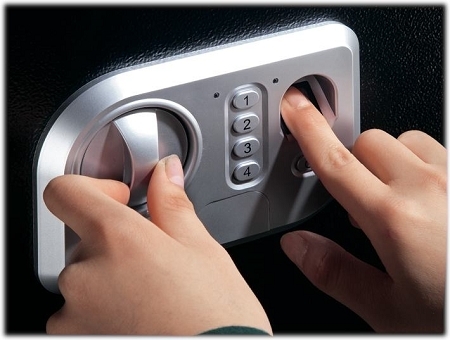 State of the art biometric lock can accept 32 different finger prints. 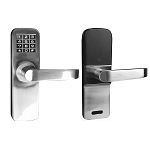 Standard electronic key pad backs up the biometric key pad. Pre-drilled holes for mounting to floor or shelf; Padded bottom shelf, Removable steel shelf. Low battery warning light. Combination is easy to change. Weight: 18 kg / 38 lbs. 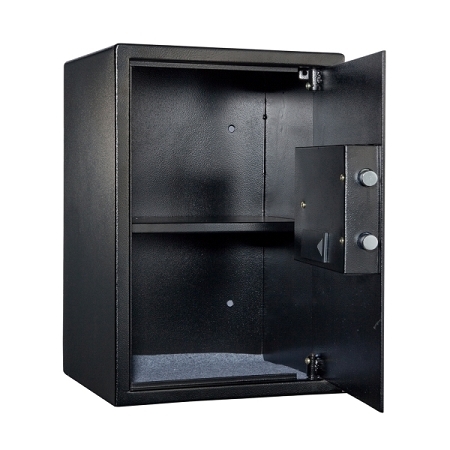 This Biometric portable safe box's all-steel construction provides a nearly impenetrable barrier for your valuables. Pre-drilled holes for mounting to floor or shelf to prevent theft. 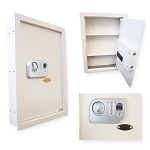 Secure important documents, jewelry, medication, electronics, money, firearms, ammunition, your PDA (Blackberry, Palm, Smart phone) cell phone, family pictures & heirlooms. 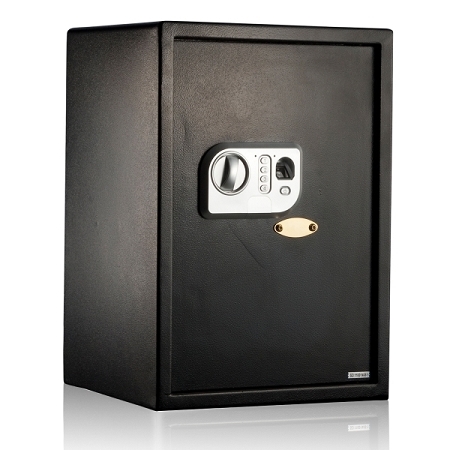 You name it, if it fits, it can be secured in this great Biometric fingerprint safe.